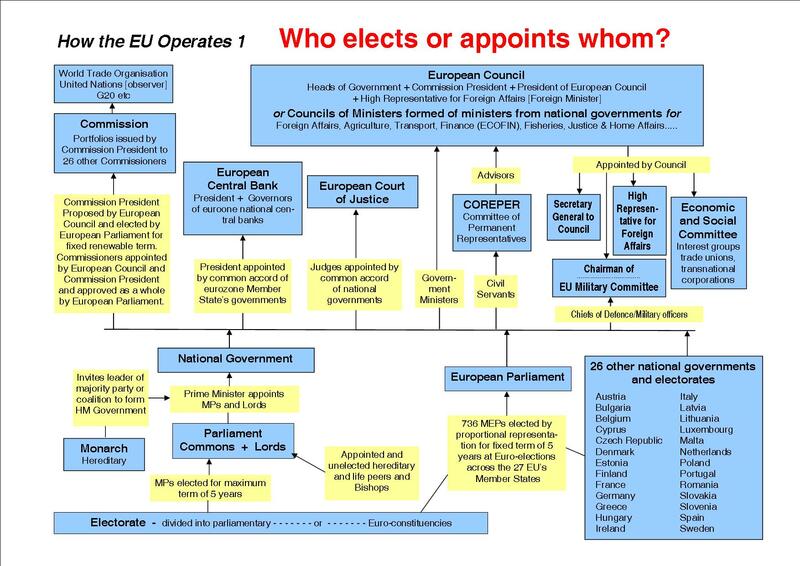 It is widely recognised in the labour movement today that the EU Constitution is a privateers’ charter that would massively centralise power to unelected, unknown and unaccountable corporate elites in Brussels. However, this recipe for corporate feudalism is not confined to the discredited Constitution. 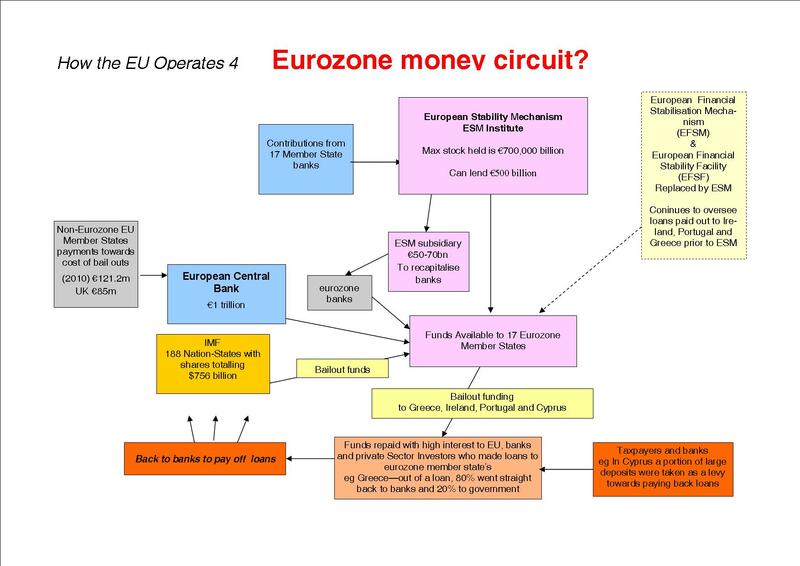 The drive for a single market, the single currency and the unaccountable European Central Bank have all enforced policies onto member states that enjoy no real mandate. These ‘one-size-doesn’t-fit-all’ policies impose public spending cuts, the deregulation of entire sectors of industry and decisions over which industries deserve government assistance and which should be allowed to go to the wall. 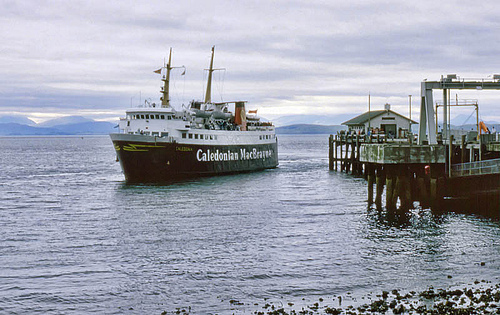 RMT members working on Caledonian MacBrayne ferry services in Scotland recently experienced this when EU commissioners ordered the Scottish Executive to break up the publicly-run life-line services or risk breaching EU law. This is despite the fact that the Scottish parliament had already voted to reject the privatisation of CalMac following a public outcry. EU procurement rules also prevented the Ferguson shipyard in Port Glasgow from winning the bid to build a new Scottish fisheries protection vessel. The work went to the Polish Remontowa shipyard in Gdansk instead, amid evidence that it had been receiving ‘illegal’ state subsidies. The Polish yard was also awarded a contract to build a ferry for the Hebridean and Clyde CalMac route. Instead of fighting for Scottish interests, the Executive simply insisted that EU rules prevented it from giving preferential treatment to a Scottish shipyard. In contrast, France and Germany have never bought a single train unit not produced domestically, despite EU procurement rules. These double-standards clearly show that the rules are applied based on political patronage and expedience rather than the interests of working men and women in the member states. All these experiences highlight the fact that the EU has a clear strategy of privatisation and regionalisation that is highly undemocratic and damaging to the interests of member states. Countless EU directives demand the ‘deregulation’ of industries and services, including the proposed ‘services directive’, which demands the “liberalisation and deregulation of all service activity in Europe”. This nasty piece of work includes the so-called ‘country of origin’ principle whereby firms from other member states can operate in Britain without having to comply with British laws and standards. This would clearly provoke a ‘race to the bottom’ for staff pay and conditions in deregulated health and education sectors as offshore firms would be allowed to ignore even minimum standards. It is also a perfect example of how eurocrats, operating in their undemocratic bubble, seek to promote corporate interests without the knowledge of many MPs, let alone their electorates. In tandem with these diktats, drawn up in the main by corporate groups like the European Roundtable of Industrialists (ERT), Brussels promotes the concept of a centrally-controlled ‘Europe of the Regions’, which divides the EU into competing zones. Under these plans, certain industries are concentrated in various regions, undermining a member states’ ability to produce a variety of goods and services for its people. This in part explains the demise of British industries such as shipbuilding, fishing, textiles, steel and, of course, coal. We have already seen what chaos and mayhem privatisation has brought on our privatised railways. Yet publicly-owned railways are being privatised across the EU through the implementation of various EU directives. In the UK, the first of these EU directives - 91/440 adopted on July 29 1991- formed the basis of the Railways Act 1993. This Tory Act included measures that privatised Britain’s railways, introduced open access and separated ownership and control of infrastructure from train operations. A “second package” of European Commission proposals for deregulating EU rail networks was imposed in January 2003, and a “third package” was adopted in March 2004. At no time was there any meaningful public debate about these far-reaching neo-liberal measures. Yet, as a result, state-owned French railways SNCF has lost its freight and passenger monopoly and companies like Connex – which made such a mess of Kent’s rail network – are seeking to break up the French network. The same is happening in Italy where private rail operators have taken nearly 40 per cent of the freight market by undercutting publicly-owned train operator, Trenitalia, with lower wages and employing less staff. Despite this EU-led neoliberal offensive, we are being asked by an unrepresentative minority within the labour movement to continue giving Brussels support through thick and thin in order to defend something called the ‘European social model’. Yet it is doubtful if this ‘European social model’– a world where workers and employers live in harmony as ‘social partners’ – exists at all. The doctrine of social partnership promoted by the EU preaches that employers and workers share a common cause. This strategy claims that unions have no alternative but to collaborate with the employer in order to ‘add value’ to the firm, ie profits. Yet in reality, by incorporating union leaderships into partnership structures, employers are given a free hand to continually push the mantra of "labour flexibility". Such an approach undermines long-held rights to collective bargaining and independent trade unionism by subordinating trade union activities to the logic of the capitalist firm, allowing employers to boost profits at the expense of workers jobs and conditions. These agreements also often entail pledges of job security for the workforce. However, there is a contradiction between the implied employment stability and the chronic instability of the markets in which companies operate. This rhetoric also implies that unions will have an influence over corporate business strategy. Yet the reality is that key business decisions in many firms are made by rival cliques of bosses locked in takeover battles, whilst workers are left out in the cold. This EU model of partnership, espoused by the TUC and the European TUC, also implies a degree of social and economic equality between labour and capital, which is clearly not the case. One of the fundamental contradictions of social partnership is highlighted by my union’s policy within the transport industry. RMT clearly calls for the renationalisation of the rail and bus sectors. As such, my union does not have common interests with the privateers that make money at the expense of decent wages levels, conditions of service and investment. And social partnership is not just about restricting wages. It stifles democratic involvement in the life of trade unions, making people passive in the wider social and political life of the country. As a result, the espousal of social partnership is usually accompanied by acceptance of ‘labour flexibility’, budget cuts, privatisation and the centralisation of power as part of the corporate blueprint for the EU and the disastrous eurozone. While the ‘European social model’ may be a myth, a variety of social models do exist where trade unions, employers and elected governments have over the years found different ways to negotiate solutions to disputes. Yet these very models are being eroded by Brussels, which demands evermore ‘labour flexibility’ to deal with the results of policies that encourage social dumping, job cuts and mass privatisation. For instance, the pro-EU German government has slashed social security benefits and introduced a ‘forced labour’ programme. The new Hartz IV law offers so-called “one euro jobs”. Anyone who refuses them will have benefits withheld. Berlin plans to create 600,000 such ‘jobs’ where workers are paid an hourly wage of just one euro (60p) and are refused union representation. This vicious new law is all about creating a low-pay sector, something previously unknown in Germany. The impact of this is now being felt in the more highly paid unionised sectors. For instance, car manufacturers recently forced Germany’s most powerful union IG Metall to swallow pay cuts or face the prospect of vehicles being built east of the German border. The French government is imposing a law by decree, as opposed to traditional parliamentary procedures, to allow companies to ignore dismissal procedures and sack staff during their first two years in the job. French prime minister Dominique de Villepin oddly described the decree as “the last chance to save the French social model”. Greek unions recently launched a general strike against government plans to enable employers unilaterally to impose “flexible” longer working hours. Presumably, all these anti-worker measures are designed within the remit of the mysterious ‘European social model’, which appears to mean whatever you want it to mean. Any response from the labour movement to this neo-liberal agenda should not be simply to emulate it by imposing a similarly undemocratic blanket of diktats through unrepresentative institutions like the EU. Such a path would ultimately undermine progressive policies as they would also lack a mandate as much as any corporate-backed privatising mechanisms. That is why the United Campaign for the Repeal of Anti-Trade Union Laws is demanding a change in domestic law as its starting point. As labour markets tighten and the clouds of recession gather, trade unionists should be able to argue more persuasively than ever that social partnership and blind faith in the EU is a dead end for the labour movement and that there is an effective alternative. That means breaking away from this debilitating strategy and developing a more democratic, independent and campaigning outlook. The labour movement must wake up to the simple fact that the EU is the motor for neo-liberal ‘globalisation’ in Europe not protection from it. EU Commission Vice-President Günter Verheugen openly said as much recently when pushing the EU’s "Lisbon agenda" to promote ‘competititiveness’ in Europe. “Globalisation is not something China imposed on us, but something we have done ourselves. People must be told that globalisation is our policy," he said. In short, it is time for trade unionists to defend their own constituencies and fight for democracy and public services at home in the battle against Brussels neo-liberal diktats that seek to hand everything over to the private sector.